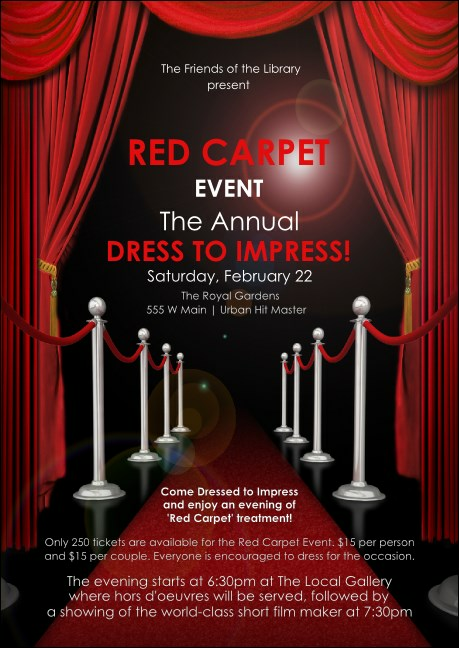 Distinguish your pre-event advertising from other formal events when you print Red Carpet Club Flyers and send them out to your guest list in advance. Give your promotions the best possible treatment with Club Flyers that feature a bold red carpet rolled out and framed by drawn red curtains. Dress your advertising to the nines at TicketPrinting.com.